Is a Truck Driver Liable for Hitting a Pedestrian Lying in the Road? If this argument sounds absurd, the actual context of is downright tragic. Prior to the truck collision, the plaintiff, a homeless man from California, and a friend approached a Nashville convenience store. Before they reached the store’s entrance, a gang confronted them in an attempt to sell them illegal narcotics. When the plaintiff said he wasn’t interested in drugs, the gang tried to rob him and his friend at gunpoint. The plaintiff refused to give the gang members any money, whereupon he was chased, hit and the face with a rock, and left lying unconscious in the middle of the road. As the plaintiff started to regain consciousness, a tow truck owned by Metro struck him. As a result of this collision, the plaintiff was rendered a paraplegic. He subsequently sued Metro and other parties for damages. U.S. District Judge George Caram Steeh said this was a novel legal issue not previously addressed by the Tennessee state courts. 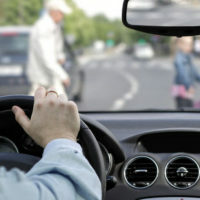 He determined that under the facts of this case, the “Plaintiff was a pedestrian within the meaning of the statute and that Plaintiff is still owed a duty from [the tow truck driver] even though Plaintiff was not legally in a crosswalk.” It would be “absurd,” the judge said, to hold the plaintiff was not protected by law merely because “he was chased, robbed, and knocked unconscious by third parties.” Accordingly, the judge denied Metro’s request for summary judgment. Sorting out liability for a pedestrian accident is often a complicated process, especially if multiple defendants are involved. This is why it is important to work with an experienced Clinton personal injury lawyer who understands the legal system and will effectively represent your interests. Contact the offices of Fox & Farley, Attorneys at Law, if you need help with an accident-related claim today.